On Tuesday, Google bought a high-speed internet provider called Webpass, and is rolling it into its Google Fibre unit. 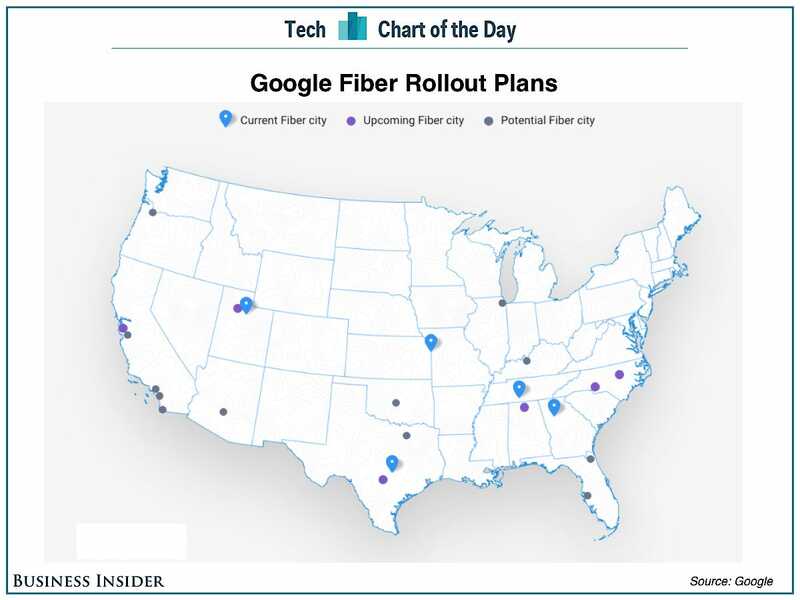 Google Fibre is one of the most ambitious projects in Alphabet (the holding company that contains Google and several other businesses). It is aiming to provide much faster internet access than the cable and telco providers in the US today. But it won’t roll out across the entire country right away. As this map shows, it started relatively small, with cities like Kansas City (2012), Provo, Utah (2013), and Austin, Texas (2013). 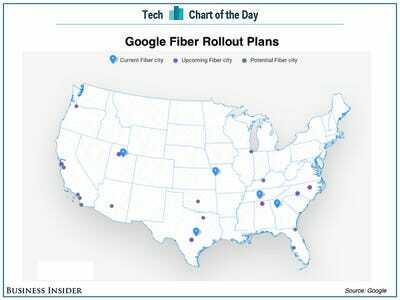 But Google eventually plans to roll it out in big cities like Los Angeles, Chicago, and San Francisco, as this map shows.